On the 5th of November 1964 The Bowmore Spirit was filled into Five Oloroso Sherry Casks and left to quietly mature in the deep, dark Bowmore vaults. 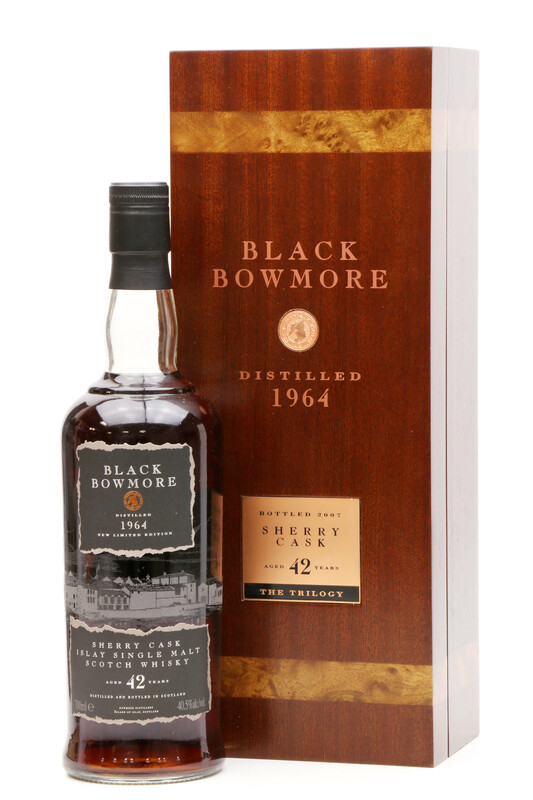 After forty-two years, the casks produced only 827 bottle of this extremely rare malt whisky. 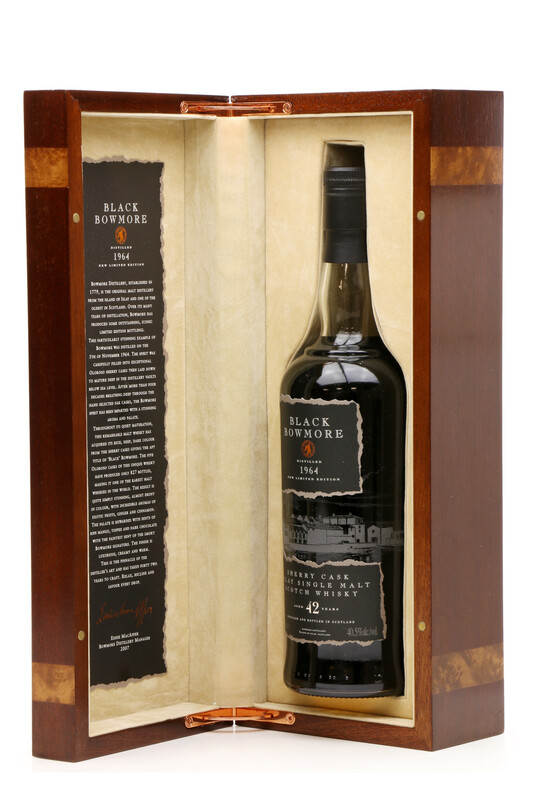 The result is a stunning aroma and palate, and the rich, deep, dark, almost ebony colour reflected in its name. 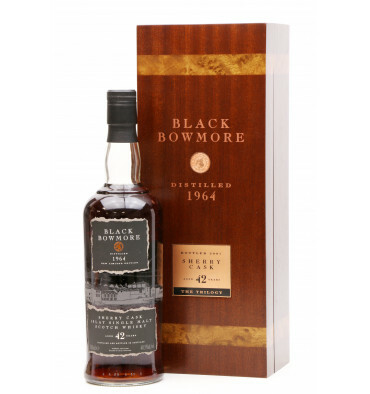 This release of Black Bowmore has had whisky reviewers heads in a spin about how good it is. 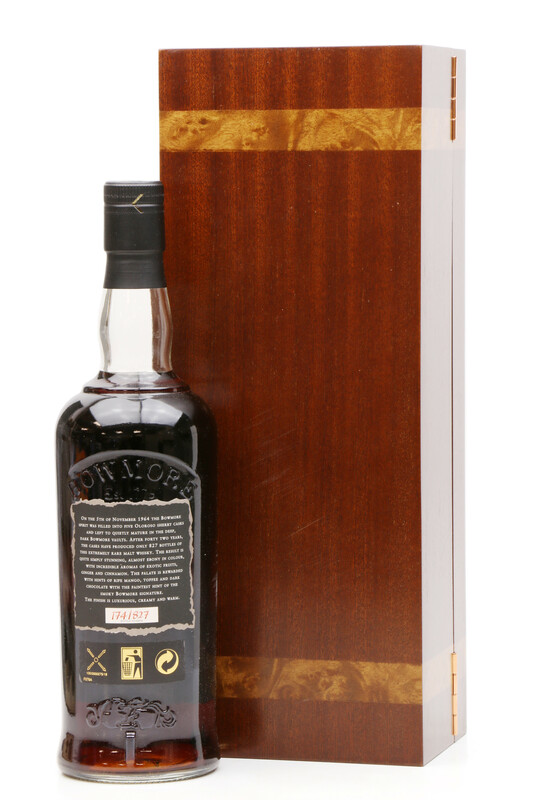 Not many bottles can be described as Legendary, but fortunately, this is one of them. Please Note: Light scuffs to back of box, please refer to images.